Dr. Holland and her team in Lawndale, CA make every effort to provide not only excellent, but also affordable dental care. Money shouldn’t keep you from having the perfect smile you deserve. At A Lifetime Smile we offer pain-free, flexible payment options allowing you to finance your smile with easy monthly payments if necessary. In addition to accepting cash and major credit cards, A Lifetime Smile also works together with organizations that provide excellent financing options. A Lifetime Smile works hand-in-hand with CareCredit Patient Payment Plans. CareCredit offers special financing options to patients at a reasonable rate through use of a CareCredit credit card. This credit card allows you to make easy monthly payments for dental treatments, rather than delaying treatment for financial reasons. Please contact our office for more details. You can also learn more about CareCredit at http://www.CareCredit.com. You may be able to use your own dental insurance if you have a policy that allows you to choose your own dentist. If this is the case, we are happy to file your insurance claims for you so that you can be reimbursed by your insurance company. We take all PPO insurance and offer payment plans as well. 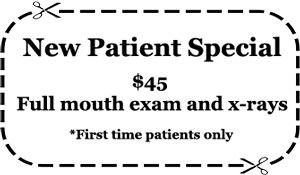 Dr. Holland and the team at A Lifetime Smile in Lawndale, CA are proud to offer excellent dental care at an affordable price. If you have any questions or concerns about insurance and financing options, please contact our office.